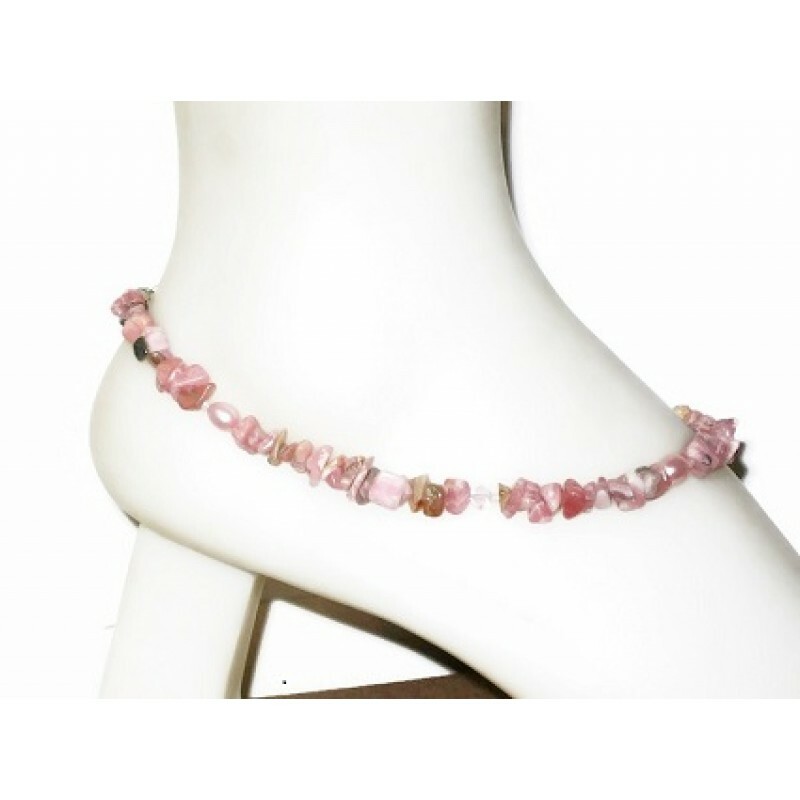 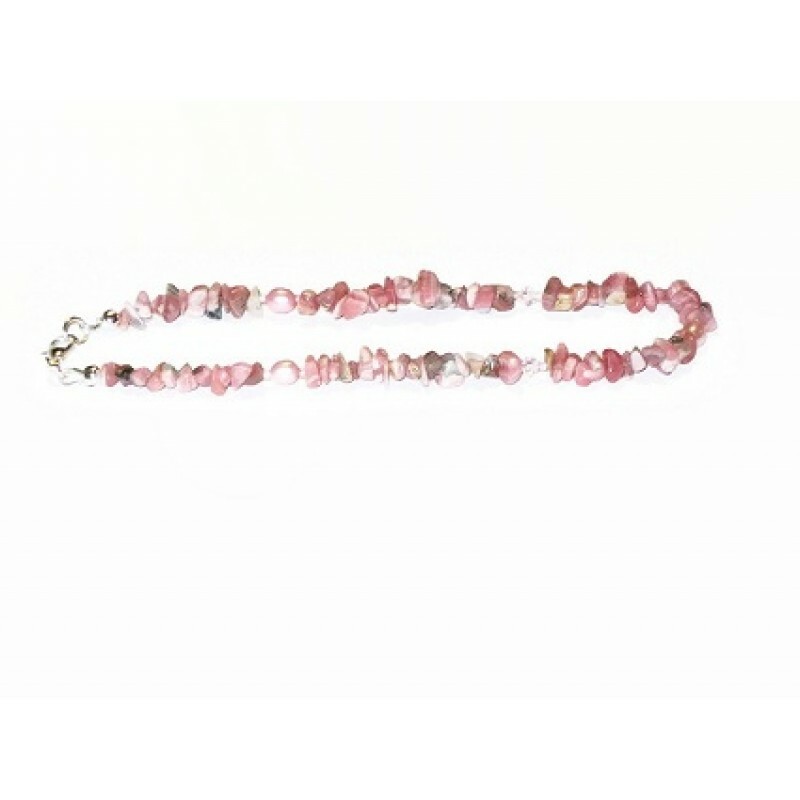 Add some ankle bling with this pink Rhodinite chip beaded ankle bracelet. 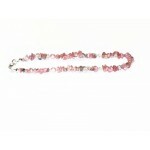 It is complemented with Swarovski crystals and freshwater pearls. It is finished with a silver-plated lobster clasp and measures 10 1/4 inches.